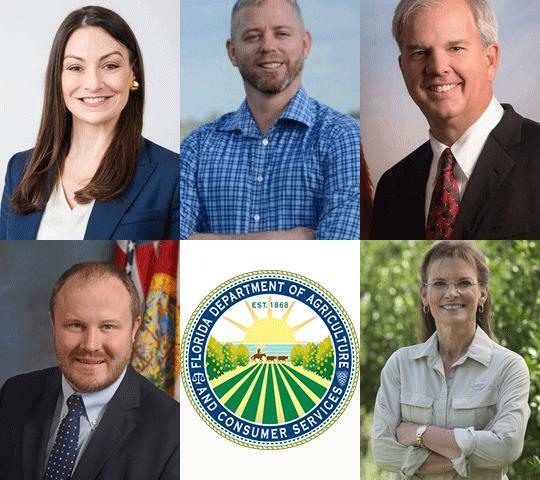 Florida’s top leadership offices are up for grabs this year and one of the largest jobs is overseeing the state’s multi-billion dollar agriculture and consumer services industries. There are seven candidates vying to succeed Adam Putnam as Agriculture Commissioner. Five of them recently appeared before several South Florida editorial boards to make their cases to voters. Florida Commissioner of Ag candidates: On top, Democrats Nikki Fried, Roy David Walker and Jeffery Porter. Bottom: Republicans Matt Caldwell and Denise Grimsley. Republicans Mike McCalister and Baxter Troutman were unable to participate in the interview. Homestead Mayor and Democrat Jeffery Porter says South Florida farmers are hurting. 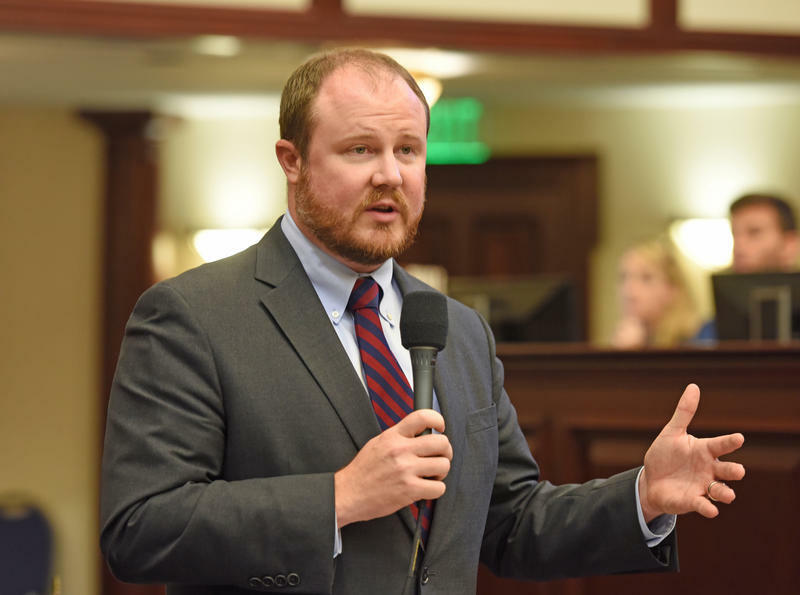 “Over the years I’ve been involved, agriculture has really been under pressure and is literally dying in South Florida," he recently told reporters from WLRN, the Miami Herald and South Florida Sun Sentinel. Porter and others point to a trade imbalance between the U.S. and Mexico when it comes to fruit and vegetable production. It’s a microcosm of a larger, national debate over trade between the United States and it regional partners. It's playing out across varying Florida agricultural sectors. Take tomatoes for example. Republican state Senator Denise Grimsley says many tomato farmers she knows are struggling to stay in business. “It's $10 a box…but Mexico is bringing them in at $6 a box. And I believe their intention is to put our guys out of business and our commissioner needs to be out ahead of that." Grimsely’s family raises cattle and grows citrus. One area where both Republican and Democratic candidates agree is on a desire to renegotiate the North American Free Trade Agreement between the U.S., Mexico and Canada, a process now underway by the federal government. Florida Growers are also dealing with a 70 percent decline in the state’s hallmark citrus crop due to a disease that kills trees. Democrat Nikki Fried, an attorney and marijuana advocate, is floating the idea of legalizing marijuana for recreational use in order to promote industrial hemp farming to replace circus. “Once we go into a legalization format, then it’s just an agricultural crop. Then there’s going to be a movement to take the office of Medical Marijuana use and move it to the Department of Agriculture," she says. Grimsley also thinks hemp could work, but she’s against the recreational use of marijuana. So is Democrat Porter, and Republican primary challenger, Matt Caldwell. All candidates say they support Medical Marijuana, which Caldwell helped craft legislation for as a state representative. The agriculture commissioner is also a member of the state and clemency board and has a say on whether to restore certain rights back to people who have completed their sentences. Several court cases have ruled Florida’s current process is broken, but the candidates all have different ways on how they’d improve it. The Democrats in the race support an automatic rights restoration process for people who have completed their sentences, like the one that’s being floated to voters through Amendment Four on the November ballot. 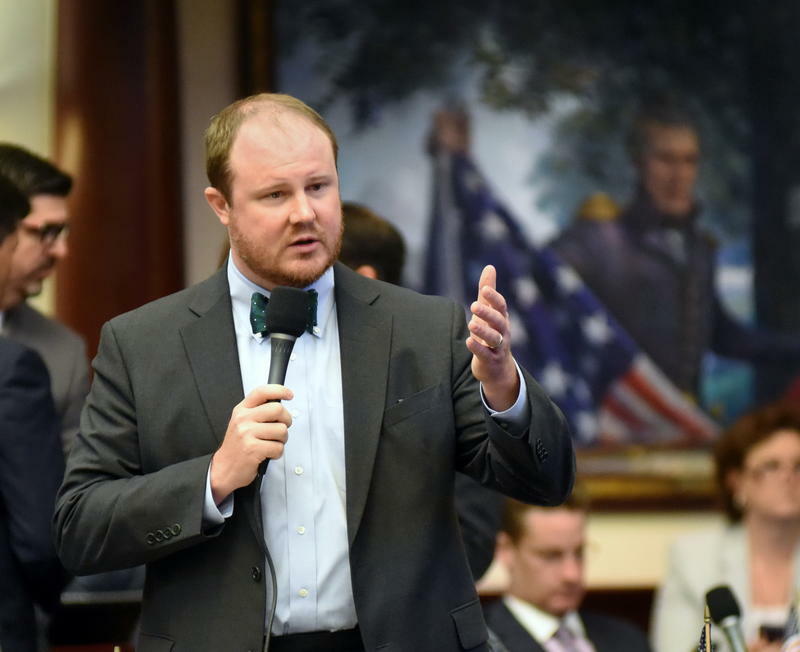 Republicans Grimsley and Caldwell favor a more nuanced approach. They want to keep that power with the cabinet, but allow expedited hearings for white collar, non-violent and first time offenders. “As commissioner, your job is to make sure that different industries are using the best management practices, which are voluntary, not mandatory. But they need to be held accountable when they pollute," he says. The candidates spoke with reporters from WLRN, the Miami Herald and Sun Sentinel editorial boards. Republican candidates Mike McCallister and Baxter Troutman did not attend due to scheduling conflicts. Florida voters will be asked in November whether to automatically restore voting rights to felons who have completed their sentences. This comes as the state clemency board has been ordered to revise its process for restoring rights. Now some state candidates are weighing in. A Republican state representative is launching his bid for agriculture commissioner.